Apparently a stone mason decided to have a bit of fun when renovating a 15th century church in the UK. 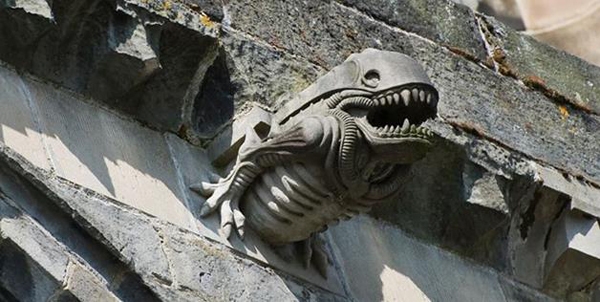 What was once a gargoyle for hundreds of years has been a Giger-esque alien for a couple of decades now. That’s a good damn reason to visit a church. Finally.